Buy your tickets online starting August 6th! With shadows, light, and a pair of magical scissors. Before Walt Disney, there was a trailblazing woman at the vanguard of animation. Influenced by folktales and legends, Lotte Reiniger was a tour de force of creativity and innovation: she invented the multiplane camera and created the first animated feature. This stunning film explores the life and times of a woman who is finally being given her due. 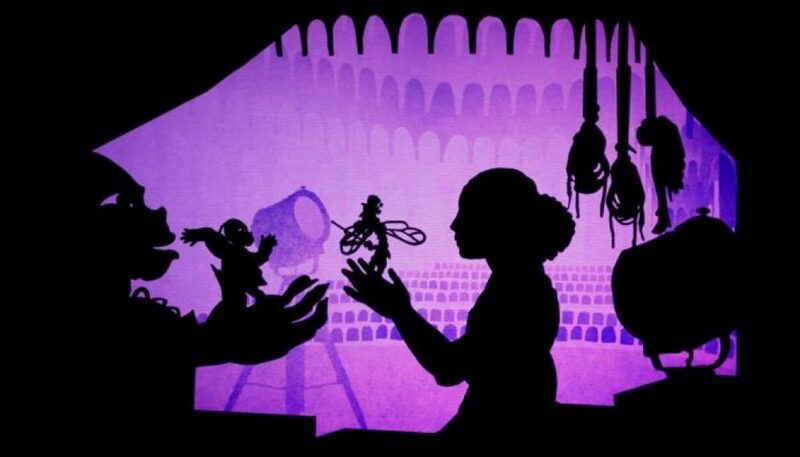 So with music, magic, and a stirring narration by Lotte Reiniger herself, LOTTE THAT SILHOUETTE tells the fairy tale story of one of animations’ biggest influencers. Carla Patullo is a director and composer who creates rich, emotionally attuned soundscapes that celebrate the power in any story. With a sound that moves from industrial to lush orchestral and beyond, Carla brings an honest illumination to any project and adds strength to every creator’s experience. Her music is featured in the award winning film Spa Night, which premiered at Sundance. Her score to Cinderella, A Shadow Ballet has won numerous awards, including two Global Music Awards, a Platinum Remi, and two Hollywood Music in Media Award nominations.